Johnsons is pleased to announce the successful sale of a private, mid-sized Australian business to an Australian financial buyer. After facilitating a comprehensive end-to-end sales and negotiations process, our client – Edington Agencies – has been acquired by Aldridge Capital for an undisclosed amount. Based in QLD, Edington offers best practice solutions for electric motor and power transmission applications in HVAC systems. Aldridge Capital is an Australian investment company, based in Sydney that holds multiple industrial businesses in its portfolio. The team at Johnsons were pleased to act as lead advisors to Edington’s director and would like to extend our congratulations to both the vendor and the purchaser. In 2018 Edington’s director engaged Johnsons Corporate to undertake a strategic divestment campaign on his behalf. Having established and grown the Business since 1991, he thought the timing was right to pass ownership to a strategic suitor, who could best lead the Business on its next stage of growth. Johnsons ran a ran a broad direct marketing campaign that targeted distributors of electrical motors, power transmission equipment and other related industrial products as well as service providers in the HVAC space. These efforts generated 28 expressions of interest, and Johnsons Corporate secured offer and acceptance within 10 weeks of going to market. Johnsons is pleased to announce the successful sale of a private, mid-sized Australian business to an international trade buyer in the industrial services sector. After facilitating a compre-hensive end-to-end sales and negotia-tions process, our client – Crown Project Services (‘CPS’) – has been acquired by Currie & Brown out of Hong Kong & London for an undisclosed amount. Sydney-based CPS specialises in the provision of Independent project management services to Australia’s property & infrastructure sectors. Currie & Brown is an international physical assets management and construction consultancy, providing services to both the public and private sectors. The team at Johnsons were pleased to act as lead advisors to CPS and would like to extend our congratulations to both the Vendor and Purchaser. Having established and grown the Business over 14 years, CPS’s managing director engaged Johnsons to assist with identifying a strategic acquirer to take the Business through its next growth phase. Following a comprehensive research and marketing campaign – targeting both trade and financial buyers – Johnsons generated more than 18 expressions of interest from the market. ASX-listed, public company buyer in the recreational vehicles (‘RV’) sector. After facilitating a comprehensive, end-to-end sales and negotiations process, our client – Northern RV (‘NRV’) – has been acquired by Fleetwood Corporation Limited in Western Australia. 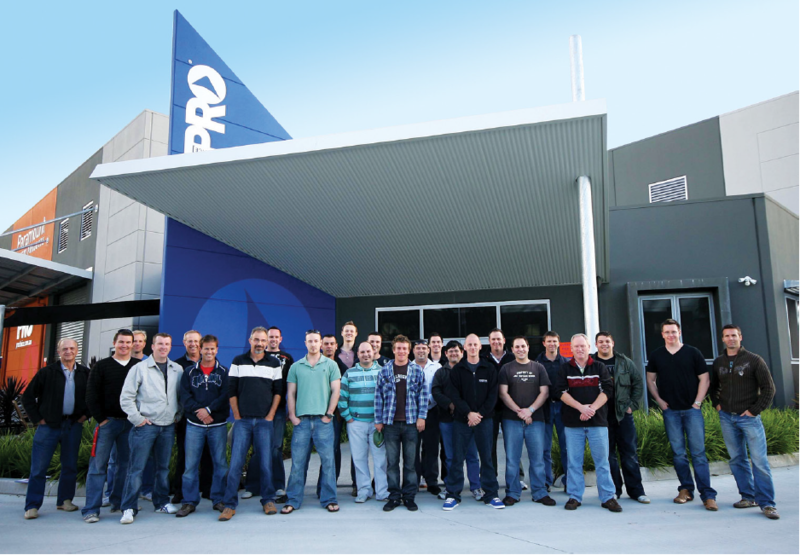 Melbourne-based NRV specialises in supplying products and services to the fast-growing RV sector, with a turnover of approximately $16M and employing +70 staff. Fleetwood Corporation Limited (ASX:FWD) is a provider of accommodation solutions and recreational vehicles, parts and accessories. Fleetwood has 8 manu-facturing sites across Australia and over 250,000m2 of manufacturing capacity. The team at Johnsons were pleased to act as lead advisors to NRV and would like to extend our congratulations to both the Vendor and Purchaser. Having established & grown the Business over 12 years, NRV’s Managing Director engaged Johnsons to assist with identifying a strategic acquirer to take the Business through its next growth phase. Following a comprehensive research and marketing campaign – targeting both trade and financial buyers – Johnsons generated more than 24 expressions of interest. Johnsons is pleased to announce the successful sale of a private, mid-sized Australian business to a synergistic trade buyer in the industrial services sector. After facilitating a comprehensive, end-to-end sales and negotiations process, our client – Metco Industrial – has been acquired by ThoroughClean for an undisclosed amount. Based in Adelaide, South Australia – Metco has long specialised in the design, assembly and manufacture of purpose-built ultra high pressure water cleaners (15,000 to 40,000 psi). 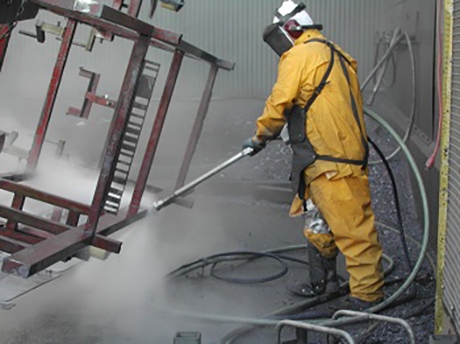 ThoroughClean is a QLD manufacturer of mid-range high pressure water cleaners (2000 to 15,000 psi), supplying several market sectors including both light and heavy industrial. The team at Johnsons were pleased to act as lead advisors to Metco and would like to extend our congratulations to both the Vendor and the Purchaser. After 9 years progressing the R&D of Australian-specific high-pressure solutions and more than doubling sales over the last 5 years, Metco’s owner engaged Johnsons to lead a divestment campaign to identify a strategic acquirer to take Mecto to the next level. Following comprehensive buyer research and a national marketing campaign – targeting both trade and financial buyers – Johnsons generated more than 39 Expressions of Interest and secured Offer & Acceptance within 12 weeks of going to market. According to ThoroughClean’s CEO, the acquisition of Metco is an important step in achieving the company’s goal to become the leading supplier in Australia and New Zealand of a diversified range of high pressure water solutions. For over 50 years Johnsons Corporate has specialised in the provision of business sales and acquisition services for mid-sized, private Australian companies. Our clients achieve great results because Johnsons’ approach is specifically designed for the mid-market business sector. Custom research and direct marketing capabilities, combined with expertise in sales and negotiations, create a service unavailable elsewhere in the field of traditional business broking and corporate advisory. Johnsons Corporate is pleased to announce the successful sale of a private, mid-sized Australian business to a synergistic trade buyer. After facilitating a comprehensive, end-to-end sales & negotiations process, our client – BusinessWorks – has been acquired by Hal Group for an undisclosed amount. 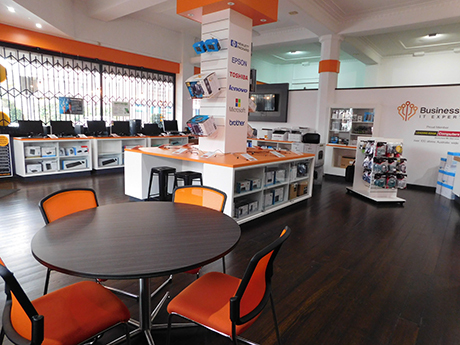 Based in East Melbourne, BusinessWorks is an IT services & managed services provider focused on servicing the SME sector. Based in NSW, Hal Group is a complete IT services company that offers a wide range of solutions to the SME, corporate and government sectors. The team at Johnsons were pleased to act as lead advisors to BusinessWorks’s director and would like to extend our congratulations to both the vendor and the purchaser. In 2017, BusinessWorks’s director engaged Johnsons to undertake a strategic divestment campaign on his behalf. After +30 years building the Business into a leading, local one-stop provider of high value-add services, he sought a succession plan from BusinessWorks so as to turn his focus towards personal interests and eventual retirement. For over 50 years Johnsons Corporate has specialised in the provision of business sales and acquisition services for mid-sized, private Australian companies. Our clients get results because Johnsons’ approach is specifically designed for the mid-market business sector. Custom research and direct marketing capabilities, combined with expertise in sales and negotiations, create a service unavailable elsewhere in the field of traditional business broking and corporate advisory. 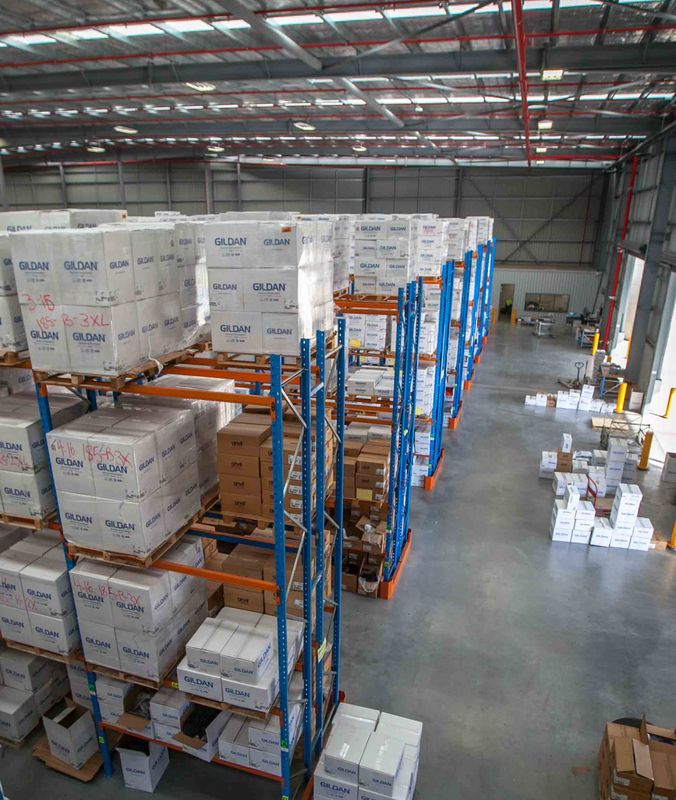 Johnsons is pleased to announce another successful sale of a private, mid-sized Australian business to a synergistic trade buyer. After facilitating a comprehend-sive, end-to-end sales and negotiations process, our client – Mayneline Kitchens & Joinery – has been acquired by interests associated with a national construction group, for an undisclosed amount. 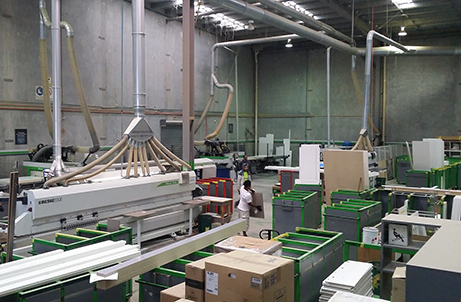 Based on Queensland’s Gold Coast, Mayenline is a leading cabinetry and joinery manufacturer specialising in multi-storey residential devel­opments in Sydney, Canberra, Melbourne and Brisbane. The team at Johnsons were pleased to act as lead advisors to Mayneline’s owner and would like to extend our congratulations to both the vendor and the purchaser. In 2016, after growing the business over 12 years, Mayneline’s director engaged Johnsons to assist with a divestment campaign in order to focus more of his energy and resources towards other business & personal interests. Following a comprehensive marketing campaign – targeting international and local trade buyers as well as financial buyers – Johnsons generated more than 42 expressions of interest and secured offer & acceptance within 13 weeks of going to market. As an acquisition Mayneline will provide its purchaser with strategic diversification as well as con­trol over the supply of key inputs. PRESS RELEASE: Johnsons Corporate Successfully Brokers the Sale of DRM Audio Visual to Generation-e.
Johnsons is pleased to announce another successful sale of a private, mid-sized Australian business to a synergistic trade buyer. After facilitating a comprehensive, end-to-end sales and negotiations process, our client – DRM Audio Visual – has been acquired by Generation-E Productivity Solutions for an undisclosed amount. 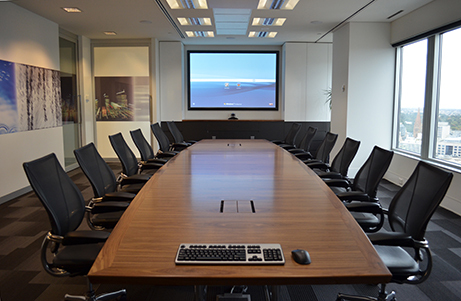 Victorian-based DRM Audio Visual is a long-standing, market leading provider of high-end integrated audio visual solutions to the commercial, education, government, non-profit and arts & entertainment sectors. Generation-E is one of Australia’s leading unified communications and digital collaboration providers and a Microsoft gold partner. The team at Johnsons were pleased to act as lead advisors to DRM Audio Visual and would like to extend our congratulations to both the vendor and the purchaser. Having positioned the 30-year-old Business for continued growth in the modern AV industry, DRM’s owner engaged Johnsons in 2016 to assist with a national divestment campaign that would allow him to enter retirement. Following a comprehensive, national marketing campaign – targeting both trade and financial buyers – Johnsons generated more than 27 expressions of interest and secured offer & acceptance within 16 weeks of going to market. According to Generation-e’s CEO, this acquisition will strengthen the company’s position as a leader in Microsoft Cloud and unified communications and further extends its managed service offerings. 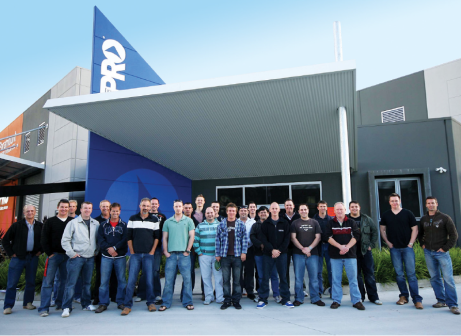 Maintaining DRM’s Melbourne facility will also serve to increase Generation-E’s geographic footprint. PRESS RELEASE: Johnsons Corporate Successfully Brokers the Sale of Superior Active Wear to Gildan Activewear Inc.
Johnsons is pleased to announce the successful sale of a private, mid-sized Australian business to an international trade buyer. After facilitating a comprehensive, end-to-end sales and negotiations process, our client – Superior Active Wear – has been acquired by Gildan Activewear Inc for an undisclosed amount. NSW-based Superior Active Wear is a market leading importer and national distributor of premium printable apparel, which it supplies to a wide range of Australian wholesalers and to online resellers. 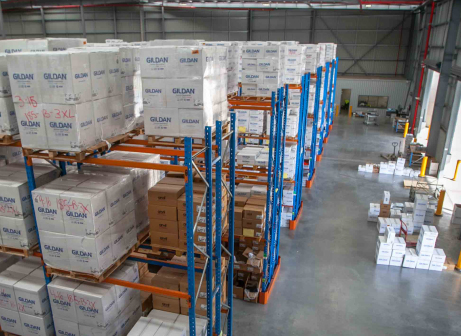 It has long acted as Gildan’s exclusive distributor to the Australian marketplace. Headquartered in Canada, Gildan Activewear is a world leader in clothing manufacturing and distributes its products to global markets through both retail and printwear channels. The team at Johnsons were pleased to act as lead advisors to Superior Active Wear and would like to extend our congratulations to both the vendor and the purchaser. After more than 30 years in the industry, Superior’s directors were looking for a new owner to lead the Business on its next growth phase. In 2016 they engaged Johnsons to facilitate a sale process seeking a strategic acquirer. Following a comprehensive marketing campaign – targeting both trade and financial buyers – Johnsons generated more than 49 expressions of interest and secured offer & acceptance within 16 weeks of going to market. Johnsons is pleased to announce another successful acquisition of a private, mid-sized Australian business. After facilitating a comprehensive end-to-end research, qualification and negotiations process, our client – Paramount Safety Products – has acquired Pratt Safety Systems for an undisclosed amount. Paramount, the name behind Prochoice Safety Gear, is a leading national manufacturer and distributor of industrial personal protection equipment. Pratt supplies Australian industry with quality site safety and environmental protection products that stand up to the challenges of Australian conditions. The team at Johnsons were pleased to act as lead advisors to Paramount’s directors and would like to extend our congratulations to both the purchaser and vendor. In 2015, Paramount’s board delivered a mandate to pursue growth and diversification through acquisition. The directors engaged Johnsons to undertake a strategic acquisitions campaign on their behalf, with instructions to identify a number of suitable, off-market targets and to manage negotiations through to a completed transaction. Within 8 weeks Johnsons presented Paramount’s board with a qualified, short-list of 19 targets. The directors quickly prioritised Pratt Safety Systems, recognising in it an established and well-reputed player with a complementary product range that represented an ideal fit for its diversification objectives. For over 50 years Johnsons Corporate has specialised in the provision of business sales and acquisition services for mid-sized, private Australian companies. Our clients get results because Johnsons’ approach is specifically designed for the mid-market business sector, targeting financial and synergistic trade buyers. Custom research and direct marketing capabilities, combined with expertise in sales and negotiations, create a service unavailable elsewhere in the field of traditional business broking and corporate advisory. "The experience of the Johnsons Corporate directors combined with their commitment, professionalism and strategic advice provided to the project, resulted in a successful outcome for all stakeholders."